25 Killed in Libyan Protests; Qaddafi Regime Sends Mass Text Message Warning "Live Bullets Will Be Fired"
Brutal totalitarianism on full display as the citizens of Libya rise up to protest against the 41 year reign of Muammar Qaddafi. 25 people were reportedly killed today during protests. 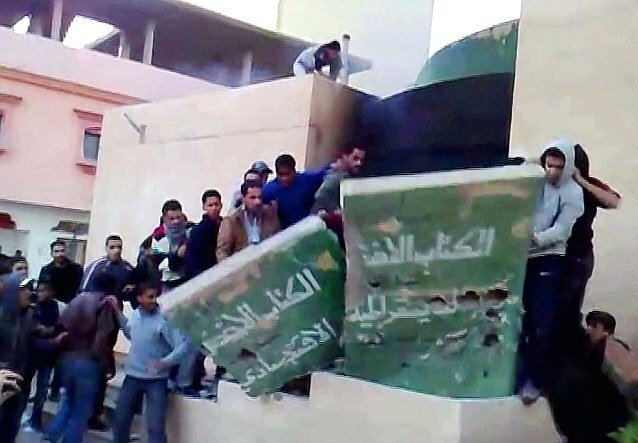 Renewed protests turned violent across Libya on Friday, with opposition activists saying dozens were shot dead during funerals and marches for those killed in anti-government demonstrations this week. Sources from northeastern city of Benghazi told the German Press Agency dpa that 25 protesters were killed there Friday. There was no independent or official confirmation. Yesterday it was reported that 19 people were killed and many of them were killed by snipers of Libya’s internal security force. Libya’s “Day of Anger” protests against Muammar Qaddafi, in power for 41 years, led to clashes with pro-government forces in which at least 19 people were reported killed. An opposition website and an anti-Qaddafi activist said violence broke out during marches yesterday in five Libyan cities, according to the Associated Press. The 19 deaths were in the second- and third-largest cities, Benghazi and Beyida, according to Al Arabiya television. An opposition website said some demonstrators were killed by snipers from the internal security forces, according to AP. UPDATE: Showing the true colors of modern day Islamic totalitarian rule, Qaddafi’s regime sent out a mass text message on Thursday warning potential protests that “live bullets will be fired” if they show up for protests. Apparently they weren’t kidding. 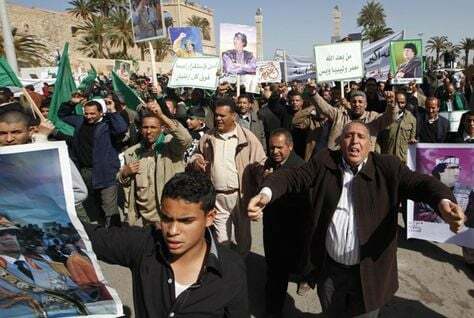 UPDATE: The Guardian is reporting that Anti-Gadhafi demonstrators have taken over several cities in eastern Libya but have suffered scores of deaths. UPDATE: Reuters is reporting that Anti-government protesters have seized control of the eastern Libyan city of al Bayda after they were joined by some local police, two Libyan exile groups said on Friday.